Amputation of a limb can be a devastating loss. The value of such a loss is something that can only be determined by a jury. Hand, foot, arm, leg, toe, or finger removals whether involuntary or voluntary create huge lifestyle changes. These changes make victims alter their regular routine in such drastic measures that not only does past economic issues become problematic, but future concerns are also at the forefront. Add to this, the physical dependence on medication such as Neurontin and the client can feel hopeless. Prosthetic devices are sometimes an option to help the client become more useful, however, even these can be expensive and leave the client needing psychological help and physical therapy to cope. Limb transplants have been successful, but the associated risks are great. Aside from the risks, the medical costs of such an event must be factored in to a clients potential recovery. Benson & Bingham will look at every possible angle to make sure the client does not forego a medical option. Often times the decision is left to the client to remove a limb that has been damaged in an accident. Making claims against Doctors or Physicians in Nevada falls under the Nevada revised statutes (NRS): NRS 427 (A). Under the malpractice statute, the following medical providers must be sued with an Affidavit of malpractice: Nurse / Nurses, Doctor / Doctors, Physician / Physicians, Chiropractor / Chiropractors, Dentist / Dentists, Orthodontist / Orthodontists, Physical Therapist / Physical Therapy / Physical Therapists, Neurologists / Neurology, Orthopedic Surgeons / Orthopedic Surgery, Orthopedic Surgery, Optometry, Licensed nurses / nurse, podiatry doctor, doctor of podiatry medicine, eastern medicine doctors, oriental medicine doctors, medical laboratory techs and technicians, hospitals, emergency rooms, quick care units, or the staff of such facilities. Also See: Have You Been a Victim of Post Traumatic Stress Disorder (PTSD)? Also See: Problems with Complex Regional Pain Syndrome (CRPS) or RPS? 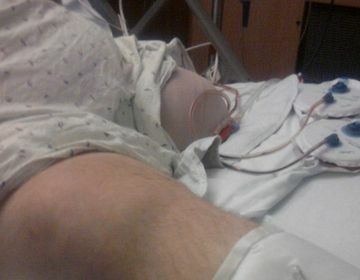 Amputation or Loss of a Limb is often times Grounds for a Jury Trial.